Magnetic Particle Examination for Caterpillar Tunneling at the "Societa' Italiana per Condotte d'Acqua S.p.A."
News : The Caterpillar brand does not need any presentation with its history long over 100 years and an industrial chain and primary services in the world. 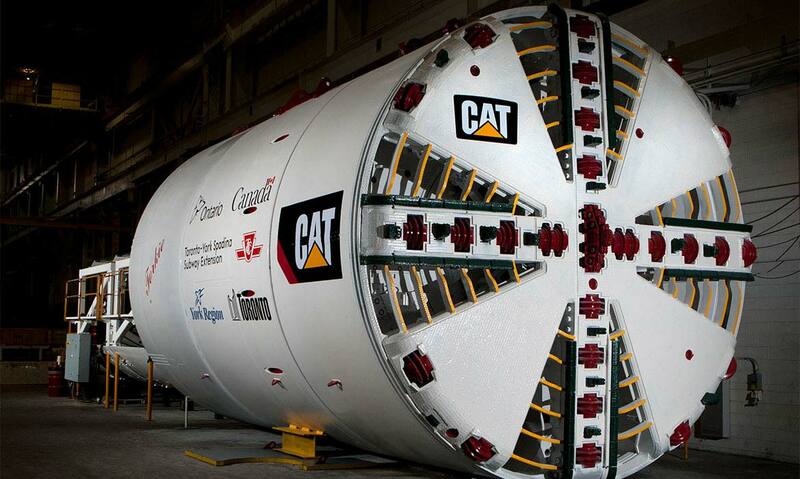 For Punto Netto was therefore an honor to be chosen by Caterpillar Tunneling Canada Corporation for non destructive testing for magnetic particles on big gear wheel for tunnel boring machine (TBM). The work was carried out at the "Societa' Italiana Per Condotte d'Acqua S.p.A" also with a history of over 100 years, with a list of infrastructure projects of primary importance in tunnels and maritime works. As usually in the field of the realization of the great works, also the pieces that are passed to the careful inspection of the Punto Netto technicians have been challenging, with a wheel diameter of 4 metres. During the Magnetic Particle Examination (MT) have been checked: upper metal ring, lower metal ring, gear wheel and 728 rollers with different sizes. An important job, then, for the Punto Netto that has found full satisfaction by all parts, for the quality of work performed and for the respect for deadline and delivery time. Finally, we wish to thank Caterpillar for choosing us and we wish also to thank the "Societa' Italiana Per Condotte d'Acqua S.p.A." for the full support which provided us.